Professor Mohamed Amer is a graduate of Cairo University, Egypt and is currently in the private practice of dermatology in Cairo. He has served as Professor and Chairman of Dermatology at Zagazig University, Zagazig, Egypt, where he also was Vice-President and later President of the University. His other academic affiliations include visiting professorships in dermatology at Jefferson Medical College of Thomas Jefferson University, Philadelphia and Tulane University School of Medicine, New Orleans, LA. Among his achievements after being in dermatology for nearly four decades include membership on the editorial board of Clinics in Dermatology. He has authored over 180 scientific papers. 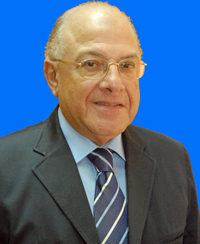 Professor Amer established what is best known as the Zagazig Conference of Dermatology and Venereology in 1980. He is currently Vice-President for Africa of the International Academy of Cosmetic Dermatology.